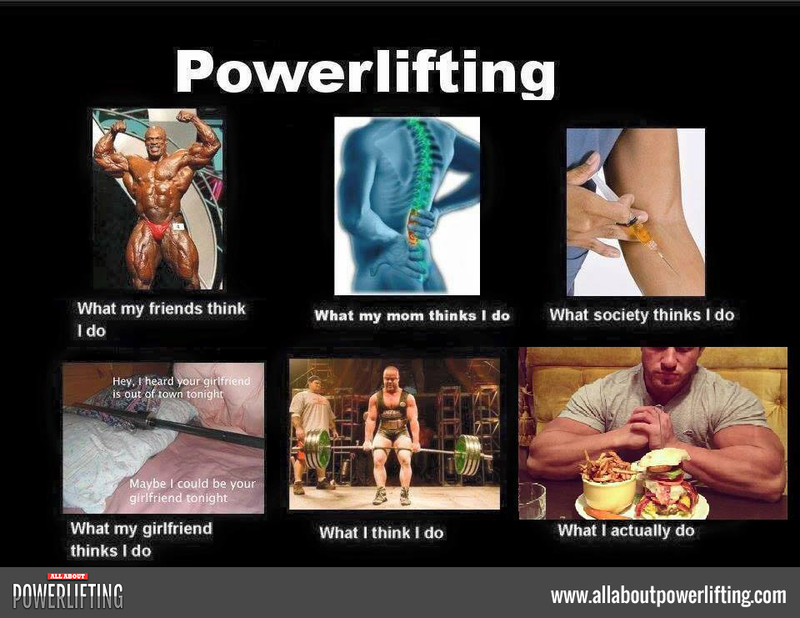 All About powerlifting > General > So You Wanna Be a Powerlifter? Powerlifting is awesome, but it is not for everybody. If you are thinking about taking up the sport, this is what you need to have. A barbell – Powerlifting consists of the squat, the bench press, and the deadlift. Those lifts are contested for a 1 rep max. If you want to be a powerlifter, you have to practice those lifts regularly. You’ll need a barbell, enough weight to go heavy, squat racks and a bench. It’s virtually impossible to become proficient at the main lifts with practicing them. If you need to buy a bar a Texas Power Bar is a classic bar to get started with, they typically cost about $350 and are available HERE. A ‘Gym’ – You’ll need a place to perform the powerlifts. It could be a home gym, a commercial gym, a university fitness center, or a small weight club. You want to find a gym that doesn’t mind you lifting pretty heavy. Generally, if they let you use chalk it means they are cool about lifting hard; if they don’t you might want to look elsewhere if you take the sport seriously. A Routine – Once you have the place to lift, you actually need to lift on a regular basis. Almost all powerlifters train at least twice a week, most train 3 or more times a week for an hour or two each time. To help maintain this schedule, most powerlifters have some sort of regular weekly routine and most try to train at the same time on the same days of the week. You are going to have to do the lifts and you’ll have to do them often. Powerlifters find joy in performing the routine, in doing the same thing over and over again and making small changes or showing small progress. If you are the kind of person that loves variety and hates doing the same thing over and over again, powerlifting is likely not for you. Singlet – if you want to compete you’ll need a lifting singlet. If you are just training hard to make yourself strong this is optional. You can find good singlets HERE. If you lift in a gym that doesn’t allow chalk you can use invisible chalk, it isn’t perfect but it is a lot better than nothing, that can be found HERE. Belt – A belt isn’t mandatory but most serious lifters like to squat and deadlift with a belt. You don’t want a nancy bodybuilding belt or the kind most gyms have hanging up on the wall. You want a real powerlifting belt, they are a bit more expensive but they are much better and they usually come with a lifetime warranty. You can find good belts HERE. Friends – That’s not a joke. Powerlifting is awesome, but to really enjoy it you need friends – at least one – to do it with you. From a practical point of view, you need someone to spot you but it is more than that. The real joy of powerlifting is training, suffering, succeeding, failing, planning, and working hard with someone toward a common goal. If you have ever played on a team sport or you were in the military, you know what I am talking about. You can train at home by yourself, but in my experience the best powerlifters and those that stick with it the longest have a group of people they lift with it. Trust me, it makes it much better. Unfortunately, I can’t provide a link for friends. Try being nice and focus on helping other people out and see how that works for you. Hard Work – All powerlifters have at least one thing in common. They are not afraid of hard work. It is not easy getting strong. It is not easy squatting heavy weight week after week, deadlifting until your shins bleed and your calluses rip, and benching until every muscle in your upper body is sore. Powerlifting is hard work followed by more hard work. And when you get stronger you add more weight and more reps and more sets and do it again. If pushing yourself to your limits, if finding the edge of your comfort zone and then exceeding it isn’t your thing, then powerlifting isn’t for you. Competition – If you really want to be a powerlifter, at some point you have to find a competition, sign up for it (in advance) and then step on the platform and show what you got. If the prospect of that is too scary for you, then this sport likely isn’t for you. There are lots of different options in terms of selecting a competition, generally location and date are the two most important factors to lifters. You can find a list of competitions HERE. And you want to be sure you are eating some protein to help build/maintain muscle mass. Most lifters eat .75 grams to 1 gram of protein per pound of bodyweight. You can find some good protein HERE. There are some things you WON’T need. Those are gloves and using a pad on the bar when you squat. Nothing screams I am not a powerlifter more than using those two things in the gym. Arm yourself with the necessary knowledge and needed equipment and then dive into the world of iron. It is sure to leave a lasting impression on you. Great article. I have been powerlifting for about 4 years, and while all of these things are important, friends and lifting partners are extremely vital. We have a sort of middle aged lifters club where I train, and most of us have competed or are getting ready to. I did my first competition at age 50 in June, and it was a lot of fun. This is a great starter article. One thing I would add, especially for those starting out, would be to be careful not to over do the workout and learn the difference between strain and pain. If someone in the gym says “pain is weakness leaving the body”, ignore them. Do enough workout to push yourself but if you feel pain, stop. Be smart not and learn to listen to your body.